The energy landscape in China is evolving rapidly. Dire environmental conditions throughout the country are complemented by the growing presence of renewable and efficient energy systems. This trend offers the vivid juxtaposition of a nation desperate to overcome its troubling present development stage through forward-thinking sustainable planning. 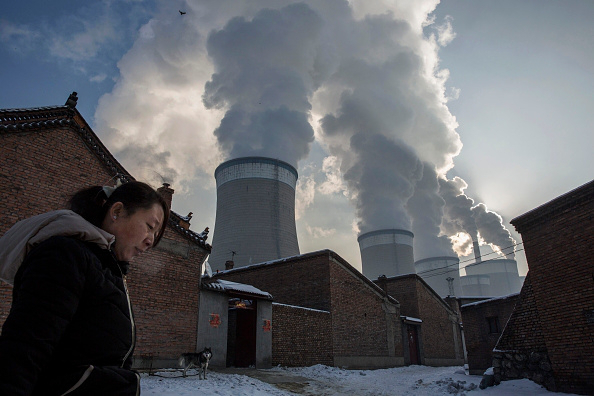 The world’s second largest economy has also earned the status of the world’s worst polluter. Facing surmounting challenges, China seeks to revise its environmental trajectory, determined to smoothly and successfully transition from an overdependence on fossil fuels—particularly coal—to an embrace of clean energy. Ambitious energy production and carbon reduction targetsoutlined in the recently released 13th Five-Year Plan indicate China’s serious desire to achieve a practical path to sustainability. With these goals in mind, the PRC government seeks to incorporate energy efficient technologies and investments into forthcoming urban development—an effort to withstand a slowing economy through innovative and sustainable systems that provide power for the masses at a reduced cost. Beijing’s evolving reform of the Chinese economy intends for energy demands to sharply decline over the coming 20 years. This includes a concerted effort to significantly reduce dependence on coal—curtailing coal consumption to 0.2 percent annually during that period, following two decades of 12 percent annual demand growth. These plans vary by locality, as Eastern Chinese economic zones such as Beijing-Tianjin-Hebei (JingJinJi), Yangtze River Delta, and Pearl River Delta target major cuts, while lesser-developed regions in Central and Western China seek to control demand and accommodate gradual urban growth. The government has demonstrated its commitment to these goals, as the National Development and Reform Commission (NDRC) and National Energy Administration (NEA) announced recently that China has halted plans for new coal-fired plants and postponed the construction of about 200 planned generatorsthroughout the country—forgoing roughly 105 gigawatts of environmentally unfriendly power production. This type of trend, though increasingly common in the US as a result of the Obama Administration Clean Power Program, is very new for China. The measures would suggest that Beijing has begun to take more thoughtful action around addressing the country’s egregious environmental situation—degradation that has had far-reaching global climate implications. Meanwhile, China’s surging emphasis on clean energy offers accelerated natural gas production and imports, and will increase hydropower capacity by 60 million kilowatts. Nuclear power plants are under construction up and down China’s coasts, which will provide 30 million kilowatts in total capacity. 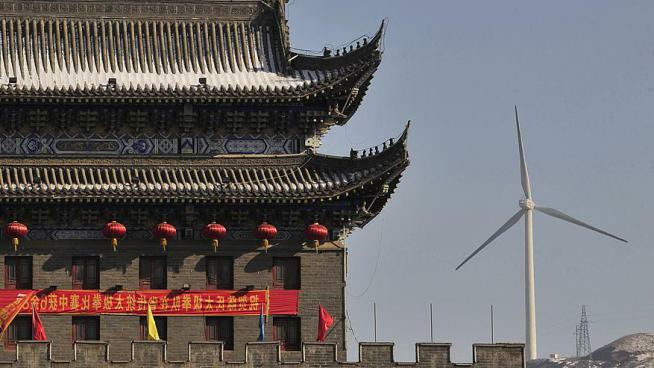 China’s total wind power generation is expected to triple to 495 gigawatts of installed power capacity by 2030, compared to only 149 gigawatts in 2015. Already the world leader in solar capacity production, China added 15 gigawatts of new photovoltaic capacity in 2015. Renewables, however, are only part of China’s growing efforts to incorporate efficient technologies into the broader national energy landscape. 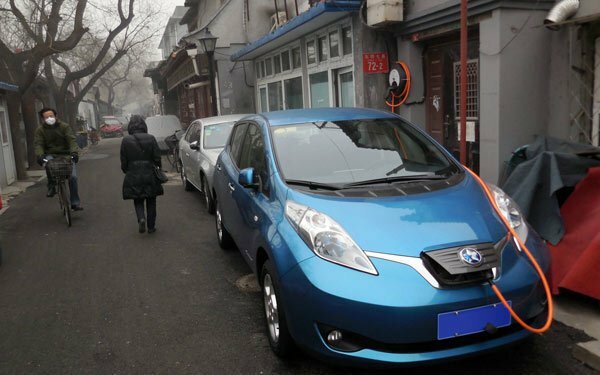 China has recently established itself as a world leader in new energy vehicles, as 2015 electric car sales reached 330,000—40 percent of the global total. Sales figures for the first quarter of 2016 are already double that of the year before, suggesting a continued surge in this trend. Seeking to reach five million electric vehicles by 2020, China’s local brands have invested nearly $6 billion over the past five years. During this period, manufacturers will strive to improve car battery durability and affordability, while increasing the number of charging stations, in a push to make new energy vehicles more accessible and desirable to the masses. In addition to new electric vehicles, China is making strides in a variety of other clean energy technologies. A recent United Nations Environment Program (UNEP) report noted that China had built 10.5 billion square meters of energy saving buildings in urban areas through 2014. Last year, China began to require that at least 50 percent of new real estate projects comply with energy efficiency standards. Beijing, Shanghai, Tianjin, and Chongqing and other east coast provinces are promoting newly introduced green building standards, which focus on lighting, air conditioning, water heating, and other appliances—part of China’s broader eco-cities initiative. Preparing for a 70 percent rate of urbanization by 2030, which will add 350 million people to the nationwide urban population, China outlined a wide range of infrastructure upgrades to public utilities, smart grids, smart transport, smart water supplies, smart land administration, and smart logistics in the 13th Five-Year Plan. This includes smart city-focused investments that exceed the $260 billion offered for these initiatives by the 12th Five-Year Plan. The Chinese smart grid market is expected to grow at a rate of 20 percent between now and 2020, the result of significant government investment. This includes plans announced in 2015 for $31 billion-worth of smart grid infrastructure in Xinjiang. China has also shown leadership with carbon capture and storage (CCS) technology, which acquires carbon dioxide emissions from sources such as fossil fuel power plants and other large industrial plants, and stores this carbon underground. In many cases, these carbon dioxide emissions can be converted and then used to enhance production of oil and natural gas. With a wide range of projects underway, China has risen to number two in the world for CCS technologies. 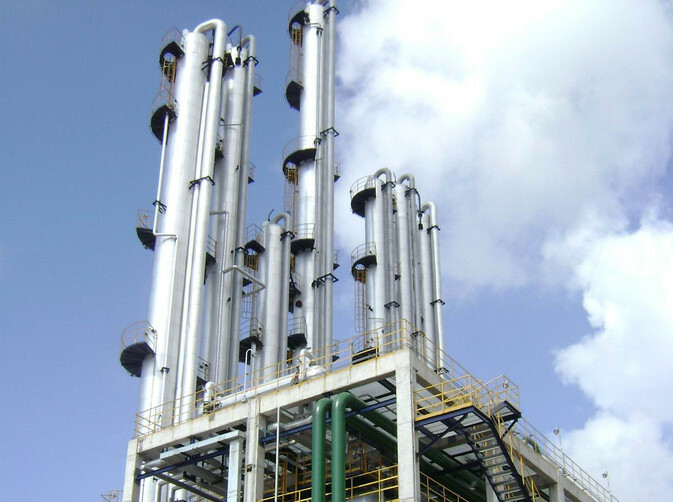 Many believe that China will be the location for the major CCS projects of the future. China’s impressive efforts to assimilate renewables and other cutting edge efficient technologies into its broader energy expansion plans has demonstrated the ability for economically developing countries to play a prominent role in the global movement to combat climate change. Yet, while these trends are important and should be duly recognized, China’s prospects for accomplishing its lofty energy objectives depend on a number of uncertain factors—including potential obstacles. 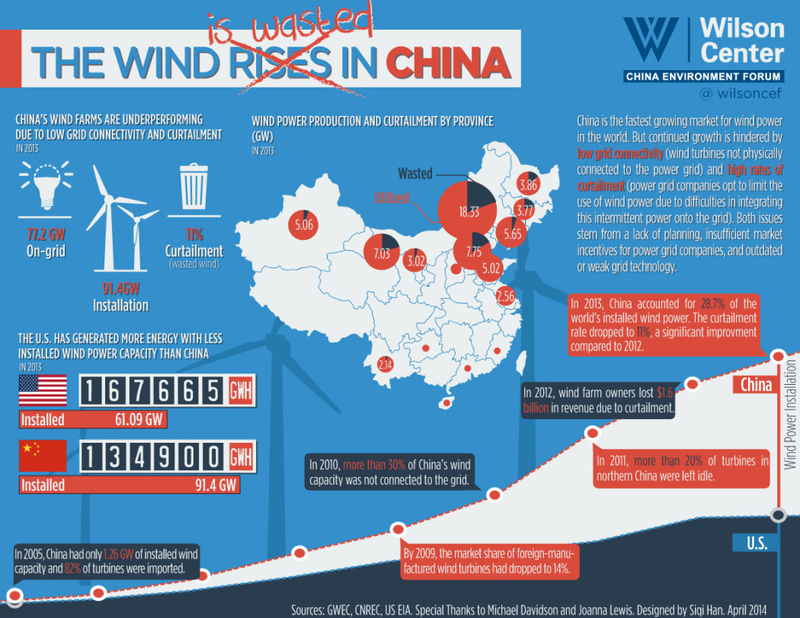 Though China has risen to become the preeminent world leader in renewable energy investment—having committed $110.5 billion during 2015—limitations to energy infrastructure throughout the country are preventing proper integration of these systems into the larger national grid. Industrial overcapacity challenges continue to favor state-owned factories, as China’s official annual planning process is designed to ensure a minimum number of operating hours throughout the year for coal-fired generators. Seeking to meet this quota, system operators at grid companies most often curtail renewables to offset these coal-fired generation figures. Because generators are paid only when providing energy to the grid—guaranteed through a set price per kWh—there is no capacity payment for these generators. 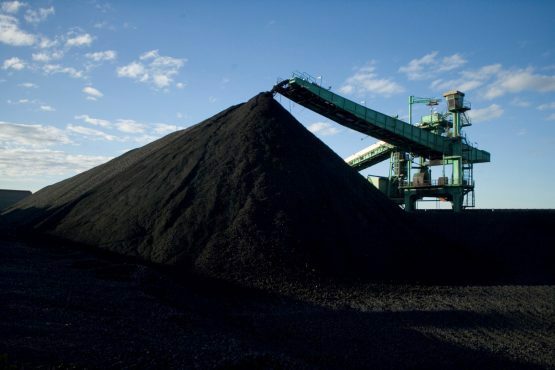 Making up more than 60 percent of total installed capacity and represented by longstanding influencers, the coal industry is resistant to concerted efforts to reform the current operating hour quota system. These grid inefficiencies are disproportionately impacting the renewable energy sector—exemplified by a 15 percent curtailment in wind energy during 2015. Present challenges toward properly integrating wind, solar, and other renewables into the greater energy grid are illustrating the growing need for more effective energy storage mechanisms and technologies that ensure stronger short- and long-term efficiency. 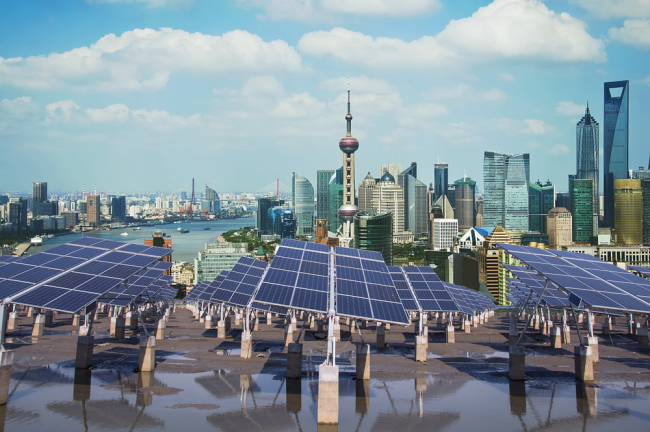 Proving to be a major barrier to seamless grid integration for renewables following years of aggressive expansion, overcapacity has left the Chinese energy sector in more than $16 billion of outstanding debt—with $4.4 billion of those bonds due from renewable companies. This record debt is plaguing China’s largest renewable energy producers, with four companies defaulting on $1.8 billion worth of bonds—including top solar panel producer, Yingli Green Energy Holding Co., which missed payments on more than $268 million of notes. These financial trends are highly concerning, as solar- and wind-power generating plants throughout the country are noticeably lagging behind production of equipment—a potentially destabilizing trend as the Xi Jinping Administration strives to uphold its commitments toward reducing never-ending nationwide pollution problems. Yet, while these limitations pose fundamental challenges for China in its long-term efforts to realize its energy efficient goals, they remain a technical obstacle within what is proving to be an encouraging stage in the country’s clean energy revolution. China’s impressive investments in renewables are influencing other developing countries to push strongly for similar clean energy development, while simultaneously pressuring leading developed countries—such as the US—to expedite domestic transitions to energy efficient economies. The International Energy Agency (IEA) announced earlier this month its decision to select a Chinese official as a special advisor to the IEA head. This is the first time a Chinese official has filled the role, underscoring growing cooperation between the leading energy agency and the world’s number one polluter and energy consumer. China’s growing leadership around energy efficient technology and policy, coupled with its perpetuating environmental troubles and grid infrastructure inefficiencies, demonstrate the complex and dichotomous identity of this 21stcentury global giant. Though record-breaking investments in renewable energy and concurrent efforts to curb carbon output through coal factory closings offer a glimpse of China’s great desire to surmount its environmental struggles, a bureaucratic stranglehold over state-owned energy companies enables industrial overcapacity to offset much of the nation’s progress in clean energy. China’s prospects for accomplishing its clean energy and climate change prevention goals will greatly depend on its ability to overcome internal political and infrastructural inconsistencies. However, should the country prevail in its energy goals—transforming successful local energy systems into a blueprint for a comprehensive integrated national grid—China will usher in an innovative future for global energy. The successful integration of renewables could offer a new foundation of technologies and standards for a globally integrated grid—enabling humanity to move one step closer toward achieving a healthier future for the planet. This article was originally posted here on David Solomon’s China Rising blog and is reposted with permission from the author. The two dams launched so far on the Lower Mekong in Laos surely do not appear to fulfill any obvious criteria for the sustainability principle of what constitutes a ‘good dam. ‘The Xayaburi and the Don Sahong dams along the Mekong are neither fair nor equitable, for the overwhelming majority of poor farming communities living downstream from these dams. These two dams both lack credible environmental impact assessments (EIAs), have failed to provide any trans-boundary studies, and have been launched in defiance of wide-ranging protest and riparian objections. Latest data published by Catch and Culture MRC’s fisheries publication shows that threat posed to the Mekong is based on hidden economic costs that will occur the Mekong is dammed. www.mrcmekong.org › … › Initiative on Sustainable Hydropower The SEA presents trans-boundary impacts of the proposed mainstream … As with any commissioned study, the SEA report is not an official MRC approved document. 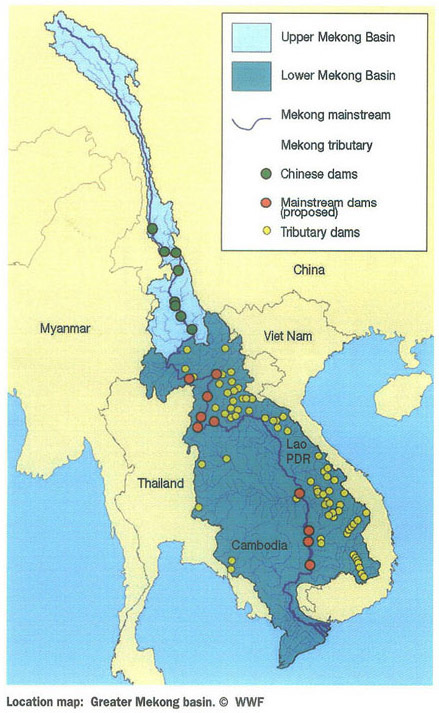 Volume 69, June 2014, Pages 43–56 Oxford Univesity study on the impacts of large dams .The study is based on data from 245 large dams in 65 different countries. (Interview with the author and film-maker Tom Fawthrop who directed the film The Great Gamble on the Mekong’ Eureka Films 2015). Sayabouly province, situated in Laos’ northwest, has long been considered something of a historical and geographical anomaly. 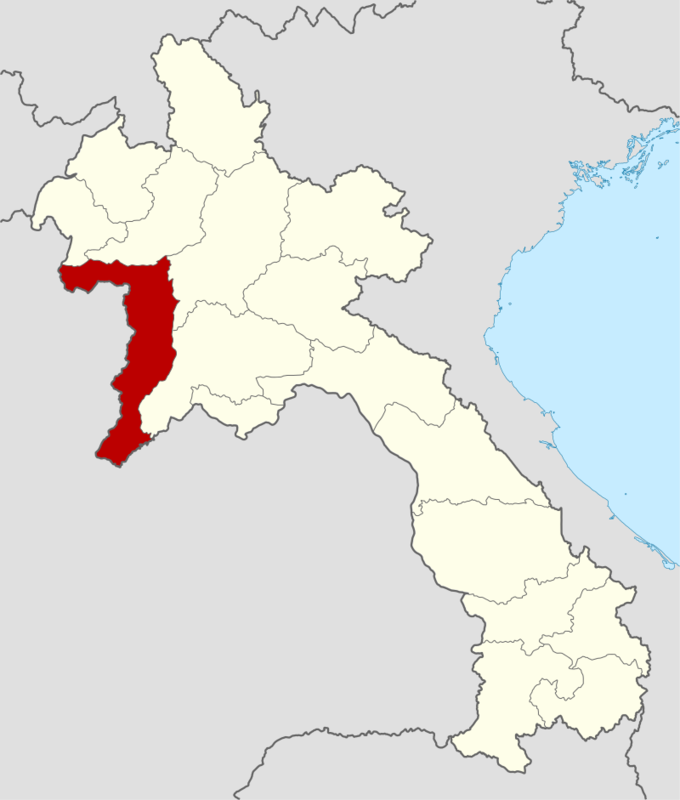 For a start, it is the only Lao province that lies entirely on the western bank of the Mekong river with only a forested mountain range separating it from Thailand, and secondly, as a once remote borderland, it has at various times been the subject of territorial disputes that occasionally have proved quite bitter. Once part of the Lan Xang kingdom and used as a conduit for warring Siamese and Lao armies, by the late nineteenth century Sayabouly became a slice of desirable real estate for expansionist Siamese and French colonial governments, both of whom claimed dominion over its territory and rich forest resources. The Siamese were forced to cede it to France in 1904 by treaty, no doubt recognising its strategic importance for buffering the important city of Luang Prabang. During the Second World War in 1940, Thailand annexed it with the help of the Japanese army and renamed it Lan Chang, but the province returned to French control six years later with the restoration of French Indochina and Thailand was obliged to drop its claims as part of the conditions for its entry into the United Nations. Sayabouly also offered an important sanctuary for Communist Party of Thailand (CPT) fighters during the 1970s and 80s, a leading member of which used to be a neighbour when I lived in remote Phiang District for two years in the late 1990s. I was a field-based advisor with a UNDP-funded aquaculture extension project working with the provincial livestock and fisheries department in a role that gave me a unique opportunity to travel extensively throughout the province, at a time when road communications were still problematic and slow, while telecommunications facilities did not extend much further than the provincial capital. The kindly old Thai CPT comrade I knew had trained in China and fought in the jungles throughout Northern Thailand, eventually retreating to communist Laos following a government amnesty for CPT members being declared in 1982. After laying down his weapons, he lived out his twilight years in Muang Phiang in conditions of relative poverty living the life of a smallholder farmer, steadfastly refusing to return to his birth place in Sisaket Province, Northeast Thailand. He used to tell me about the dense forests the CPT set up small camps in to conduct raids into Thailand, which one could trek through for days without encountering a road or human habitation, living largely off hunted game and forest produce. The Lao authorities permitted a small group of Thai CPT dissidents to seek refuge in Sayabouly for years after hostilities officially ceased, including the noted writer, Assanee Polajan. Despite recent government efforts to put the province on the map through tourist promotion, attempting to take advantage of its position as both a gateway to Luang Prabang and a province with a rich potential for eco-tourism in its own right, reflected in the organisation of an annual Elephant Festival in Sayabouly provincial capital (held on 19-21 February this year), originally conceived by ElefantAsia to ensure pachyderm protection, with the elephants acting as an iconic symbol of wider Lao cultural and environmental conservation concerns. Having evolved since its first iteration in Hongsa district in 2006, tourists nowadays would see dozens of elephants led in to the township to play football, drag demonstration logs, parade in costume, take a bath in the Nam Houng river, give rides and generally entertain locals and foreigners alike. Since its inception, the conservation message has been gradually replaced by spectacle and commercialism, with ElefantAsia nudged out of the scene by competitors with far deeper pockets and greater influence in high places, with the two most prominent names by far being “Hongsa Power Company” and “Xayaburi Power Company”. 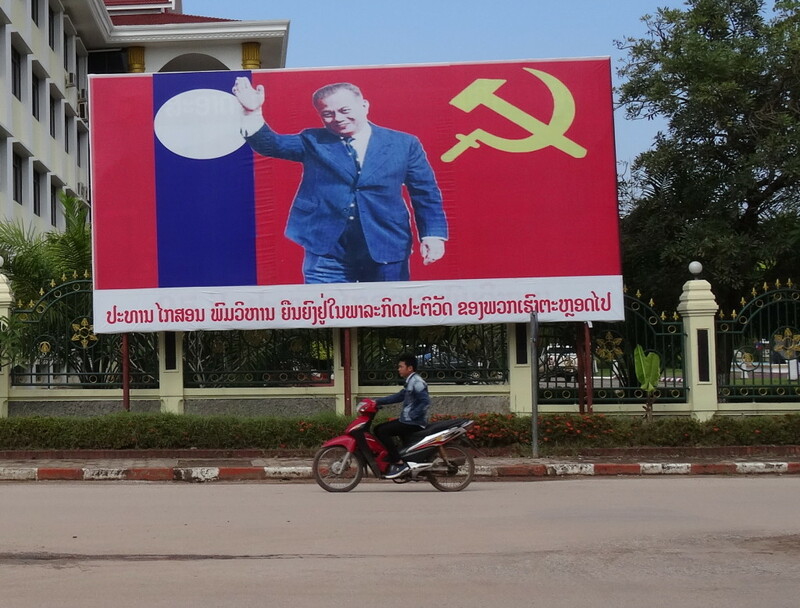 Both maintain a healthy fleet of branded four wheel drive vehicles and display prominent roadside posters around town that compete with Lao People’s Revolutionary Party (LPRP) hammer and sickle adorned banners, from which smiling demagogues beam down on passers-by above ubiquitous state propaganda messages. Ironically perhaps, given the province’s history, both of these companies are Thai-owned. Amidst this strange mix of modern corporate advertising and North Korean style political propaganda, it is unlikely a visitor would learn much about the province’s rich historical past at the Festival, much less its environmentally controversial present. Not disconnected from the deft switch to Thai corporate sponsorship of the Elephant Festival, Sayabouly province hosts two of the largest energy production projects in Southeast Asia. These have contributed to a fundamental alteration in its ecological character in a matter of a few years, perhaps more than any other province in the Lao People’s Democratic Republic, as it is officially known. What were remarkably healthy and biodiverse forests and river systems at the turn of the millennium, have rapidly degraded to become rather lacklustre shadows of their former state, diminishing their value and utility to the majority of the scattered rural population that heavily depended upon the services they provided. Furthermore, rare and endangered wildlife species have all but disappeared, falling victim to habitat loss, hunting and a scarcely restrained trade in bush meat. Group of youth work as a team with nets to catch small fish in the Nam Huong river near Sayabouli township. For many households, agriculture was a secondary occupation to the foraging and harvesting of non-timber forest products and a wide variety of aquatic organisms that formed the basis of livelihoods up to around the millennium. While this livelihood switch may be considered the inevitable cost of “development” and “progress” wherever one cares to look in the “developing” nations of the world, the social and environmental changes I found in Sayabouly during a recent visit were nevertheless rather stark and speak to wider political and structural issues emerging in this autocratic state, sandwiched between three voracious regional powers. My first return visit to Sayabouly in over a decade began in the northern district town of Hongsa, travelling there by slow boat down the Mekong River to the minor landing at Tha Suang, an hour’s journey downstream from the popular backpacker overnight stopping off village of Pak Beng, located roughly midway between Huay Xai and Luang Prabang. 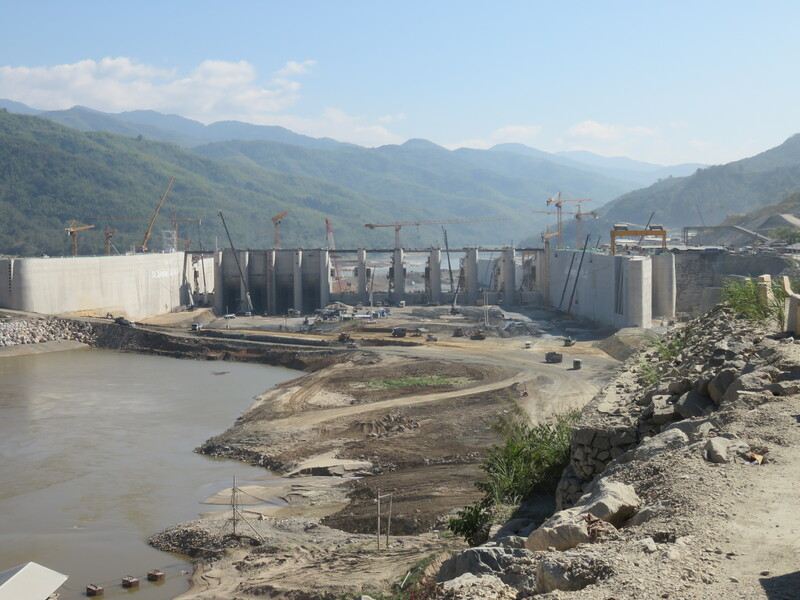 Pak Beng is on the cusp of being transformed by a near-completed bridge over the Mekong that will link Thailand and China, and just above the bridge, a 912 MW hydropower dam, with the site currently being prepared by Datang, a Chinese corporation. From Tha Suang, Hongsa is reached along a narrow, twisting dirt road, which snakes up through some of the last remnants of a once immense jungle. One emerges from that forest high above Hongsa to be greeted by the sight of an immense smoking industrial complex, dominated by a massive chimney and three cooling towers. On the day of my visit the tops of the chimney and towers were lost in the cloud, giving the view something of a surreal quality, juxtaposed as it is next to paddy fields and traditional villages. Hongsa lignite power station. 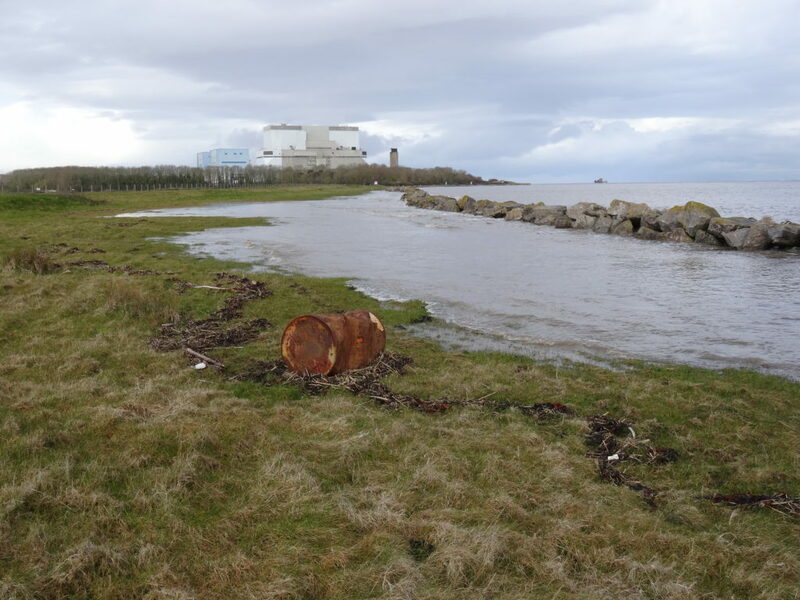 Local air and water quality has deteriorated around the site since operations began in 2015. 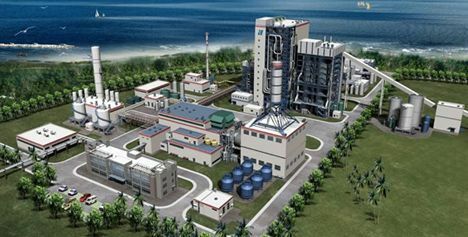 Hongsa has become the site of a giant opencast lignite mine and associated thermal power station which is designed to produce when fully operational an electricity output of 1,653 MW, of which all but 100 MW will be exported to Thailand. It is described by the Lao government as a “model project” that is “truly environmentally friendly and conducive to sustainable social development”. 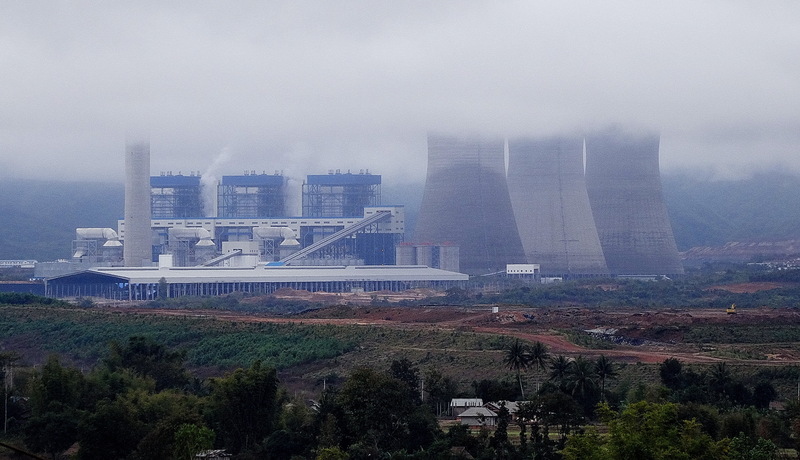 The main investors in Hongsa Power Company (HPC) are Thai companies Banpu Power and Ratchaburi Electricity Generating Holding, each of which hold a 40 % stake, while the remaining 20 % is retained by the Lao government’s Lao Holding State Enterprise (LHSE). The consortium has been granted a 25 year concession to operate the mine and power station, which employs some 700 staff, of which about 400 are Lao nationals. The concession area covers about 60 km2 and required the forced resettlement of over 2,000 people to a once-forested 1,200 hectare site located some 18 kilometres to the east of Hongsa town. Oustees are trained to adopt new and alternative livelihoods involving both agricultural and non-farm activities by staff from HPC and state officials, but inevitably within a far more challenging and biologically impoverished landscape than their more productive homelands. The local driver who took me to Hongsa told me that since the mine and power station were built, the local river (Nam Kene) had become seriously polluted affecting the water source for several villages and killing fish all the way down to its confluence with the Mekong over 30 kilometres away. He told me, “since the power station opened last year, people in Hongsa and Muang Ngeun have been complaining about chest complaints and other health issues, brought about by the dirty air from those chimneys.” He explained that a vast area of agricultural land, mostly rice paddies, and natural forest had been confiscated over the last few years, to make way for both the mine and power station, but also the resettlement site, leading to a rapid loss of previously prolific non-timber forest products and wildlife available locally. The same informant also told me that villagers living along the Mekong’s banks in Hongsa district were aware of and concerned about the future impacts of the Xayaburi hydropower project on their fisheries and natural resources-based livelihoods. This was the other Thai-owned mega-project looming large over the province’s future. They had already experienced a precipitous decline in fish catches in recent years, but were not sure if this was mostly related to dams upstream in China that have already greatly altered flow regime of the river, or the ongoing construction of Xayaburi dam located 90 kilometres downstream of Luang Prabang city. 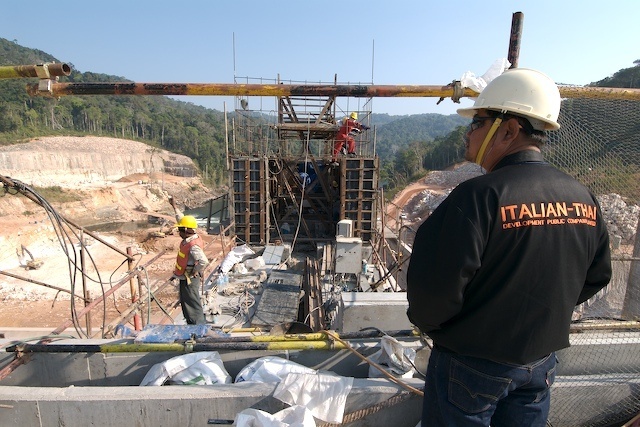 The Xayaburi dam project officially began construction in 2012, although site preparations had been going on for a year or two previously, creating a noted logical disconnect between Lao state-controlled media announcements and reported observations of actual on the ground activities. The 1,285 MW project, estimated to cost $ 3.5 billion, is owned by “Xayaburi Power Company”, which is a 50% owned subsidiary of the Thai construction corporation giant CH. Karnchang PLC, a major listed company on the Thai stock exchange. 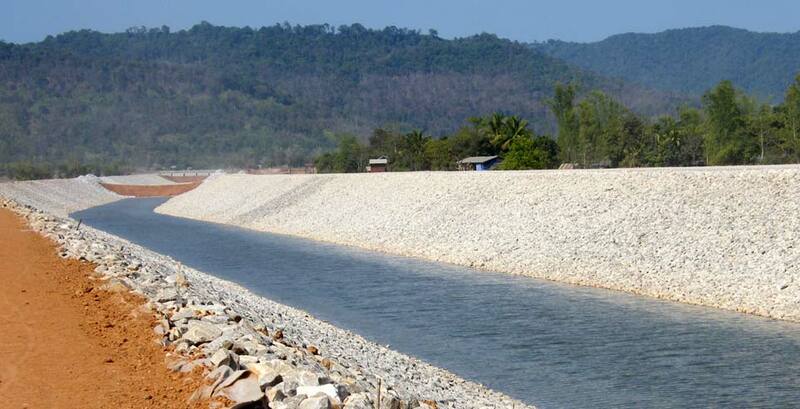 Funds to build the dam project have been loaned by a group of six Thai financial institutions, including the state-run Export-Import Bank of Thailand. Its implementation has been described as a “game changer” in terms of paving the way for future hydropower development along the lower Mekong mainstream. Indeed, since it was approved by the Lao and Thai governments, Xayaburi has sparked off a rush of new hydro development domestically in Laos, including an equally controversial project in southern Laos at Don Sahong, situated on the most important river channel for upstream fish migration, just a few kilometres from the border with Cambodia. Similar to the Hongsa project, 95% of the power produced from Xayaburi is scheduled for export to Thailand, following planned completion in 2017, underlining a wider gradual incorporation of neighbouring state’s natural resources into the Thai market. This is not to underestimate similar designs and processes underway by both China and Vietnam who are in fierce competition with Thailand for the rights and means to extract them. 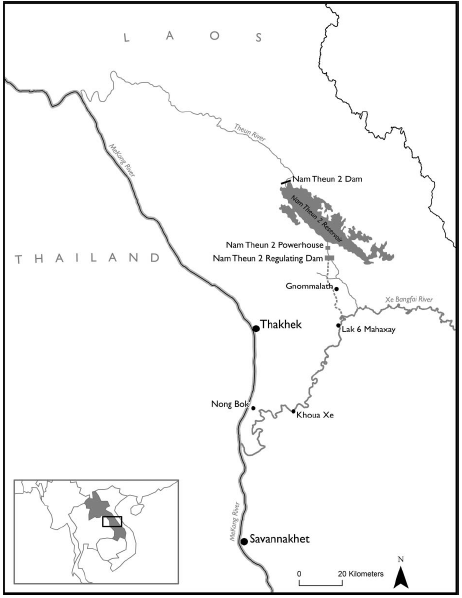 In terms of the environmental and social impacts of the Xayaburi project, much has been written elsewhere about its destructive potential to decimate capture fisheries upstream and downstream, through blocking migration pathways and altering flow and sediment patterns across international boundaries, although the Lao government has treated its development in essence as a domestic affair, with any transboundary impacts considered minor and “incidental.” The government and developers have consistently rejected any need to accept responsibility in the event of a decline in fisheries linked to the dam, arguing that their technological mitigation methods in the form of an unproven fish lift and pass will be sufficient. In any case, as the director-general of Laos’ Department of Energy Policy and Planning, Daovong Phonekeo maintained, following the decision to pursue construction of Don Sahong dam last year, “for the development of the Mekong River, we don’t need consensus.” Meanwhile, a challenge against the legality of Thailand’s Ministry of Energy and four other state agencies’ support for the Xayaburi dam project was brought to the Supreme Administrative Court by a coalition of villagers at risk of impact and civil society groups, but was thrown out late last year by judges on the grounds that the agencies involved had performed their legal duty correctly. An appeal against the verdict was filed by the plaintiffs on January 25 this year, but any decision will come too late to halt the dam’s completion. The often maligned and toothless Mekong River Commission has remained to all intents and purposes mute throughout this process, causing disillusioned donors to head for the door with future funding. Although the Xayaburi dam has been roundly criticised for its destructive potential by a wide range of civil society and international state and non-state organisations and media, including repeated concerns voiced by the United States government and other Western nations, the Lao government and allied hydropower industry interests portray any opposition as being confined to a small group of foreign environmentalists that are ideologically opposed to any development activities. Thus, opposition to Xayaburi and other major Mekong dams is perceived within Laos as the preserve of a minority of Western “troublemakers” that through ignorance and arrogance, want to keep the nation perpetually poor and underdeveloped, by halting its rightful sovereign demands to fully develop its water resources for hydropower production and other purposes. Anyone who remotely sympathises in public with this unreasonable foreign position is likely to be harshly treated by the ubiquitous state machine, which falls under the direction of the Politburo of the LPRP. As the respected historian and political observer of Laos, Martin Stuart-Fox has observed, “No criticism, or even political debate, is permitted outside the confines of the highly secretive party, which recruits its membership from the ambitious and educated. Without the support of the party, promotion in government and the bureaucracy or success in business is impossible.” In short, Laos languishes near the bottom of almost any international league table of civil liberties, accountability, rule of law, and anticorruption and transparency measures, with virtually no civil society to speak of, in particular around hydraulic development issues. As a young villager watching a dam site being prepared on the Nam Kading river in central Laos once confided to me, “To speak against a dam here, is like speaking against the king over there”, pointing towards Thailand. In other words, it is just not done, if one wants to survive. And not everyone does survive under the LPRP regime, which has ruled with an iron fist since “liberation” in 1975. Lao people who dare to speak out or protest may be incarcerated for years in grim prisons or fall victim to more brutal measures. Some have been known to simply disappear and are never heard of again, for conducting what would be considered quite innocuous activities in most other countries. Even though he was careful not to directly criticise the government’s policy on dam development and was a relatively high-profile NGO leader who had won the Magsaysay Award in 2005 and travelled extensively abroad, Sombath Somphone became a victim of suspected state enforced disappearance in December 2012. While his case has been extensively covered in the international media, and the Lao government has been criticised by Australian and European parliamentarians for not releasing more information about Somphone’s case, there has been little progress made over the last three years and the human rights situation domestically has continued to worsen, leading to a palpable sense of fear amongst ordinary citizens. According to a reliable source in Vientiane, since Somphone’s disappearance an estimated 200 Lao citizens have similarly disappeared, with a reasonable assumption that state forces are responsible. While such figures are impossible to verify, in the absence of a free media and independent organisations to investigate such allegations, it is widely recognised by organisations such as Human Rights Watch that Laos has regressed in terms of basic freedoms over the last decade. I found Lao people I met during my visit far less likely to talk frankly about the internal situation than I ever recall was the case in the late 1990s and could only attribute this to a context of worsening state censorship of expression and draconian internal repression, even while superficially it may appear to be reaching out to processes of regionalisation and globalisation. Even foreigner friends who work in Laos were reluctant to talk about dam-related issues, perhaps frightened that their Lao visas or work permits may be cancelled by vindictive authorities. There is no contradiction in this position, nevertheless, if one appreciates how power and decision-making are centralised within the hands of a relatively small group of people at the top of a patronage-based hierarchical system. To better comprehend the political situation in Sayabouly and more broadly in Laos with regard to dam development, the visible environmental degradation and tangibly repressive atmosphere that surrounds such infrastructural development, it is helpful to recall the work of Karl Wittfogel and his “hydraulic society” hypothesis. Wittfogel, in describing the nature of state-society relations in certain ancient states in arid and semi-arid areas which exerted strong authoritarian control (often under a despotic, theocratic ruler), hypothesised that state formation and expansion was carried out to a large extent through the centralised control over water resources, in particular irrigation development and management, though included other productive and protective (i.e. flood control) functions too, as well as non-hydraulic infrastructural construction. He noted how, “the rulers of hydraulic society were great builders”, in their efforts to dominate and sustain their power base. In modern states too, one can discern how state-centric hydraulic development can permit the greater control over society, with increased bureaucratisation and centralisation of power to a small, ruling elite, paralleling the processes in ancient states, albeit within a narrower time frame nowadays due to technological advancements. Laos is becoming a classic nouveau hydraulic society as its handful of ruling families concentrate the wealth and power that results from the sole authority to dole out rights (at considerable cost, one might add) to public and private operators wishing to develop the hydraulic potential of the nation’s rivers. This leads to some spectacularly big and bad projects being built throughout the country, exemplified by the Xayaburi hydropower project, but also a slew of smaller dam projects on tributaries, such as the one I witnessed getting under way to the east of Sayabouly town on the Nam Houng River. A contract signing and groundbreaking ceremony was held on 2 August last year attended by the recently deposed Lao foreign minister, Somsawat Lengsavad, and work is being undertaken by a Lao construction company linked to the central elite, Simouang Group and a Korean sub-contractor, Dowoo Engineering and Construction, both of which appear to have no prior experience of dam construction. Even though the electricity production capacity is relatively small at 15 MW, the project’s ecological footprint is high, that will lead to the destruction of an “ADB Sustainable Tourism Development Project” funded medicinal plant preserve and spa centre at Huay Namsai, originally aimed at boosting the province’s eco-tourism credentials, supporting ethnic minorities and boosting local livelihoods. 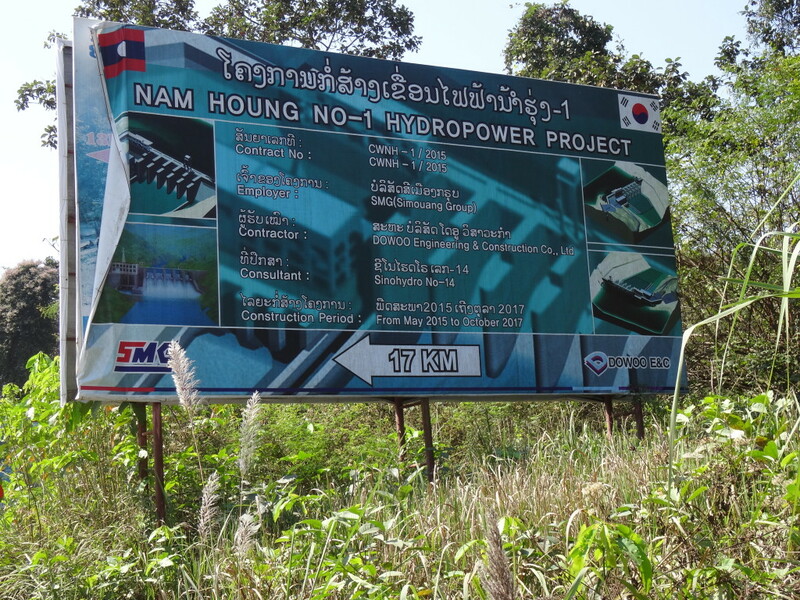 Sign announcing directions to the Chinese built Nam Houng 1 hydropower plant. When I visited in late January, the magnificent old growth forest around the centre had just been felled and the trunks were awaiting removal, while visitors to the centre were blocked from entry by dam company guards. A provincial official that had helped to establish the centre told me that he was thoroughly disillusioned, after he had learned the herbal plant centre was to be flooded by the dam and local Hmong people would lose land and livelihoods as a result. He confided that the LPRP leaders were considering changing the provincial motto from “Sayabouly, Land of the Elephants” to “Sayabouly, Battery of ASEAN”. I looked for a hint of irony in his face, but there was none. Sayabouly province may not be territorially integrated into the borders of Greater Thailand and it is still very much a part of the PDR, but its natural resources are increasingly not being enjoyed locally by the majority of its inhabitants. Instead, they are flowing across the border to the nearest of an insatiable triumvirate of neighbours, captured by powerful foreign business interests in close collusion with the provincial and national level LPRP apparatchik. It is apparent that such processes of primitive accumulation will only grind to a halt when the store cupboard is well and truly bare, which may not be too long into the future. Tellingly, it is predicted that lignite reserves at Hongsa will be exhausted just one year after the power concession agreement expires, presumably leaving the nation with one humungous bill in clean up costs at the mega “mine-mouth power project”. Whether there will be any wild elephants left in the province’s forests by 2040, or indeed any Lao forests left intact at all, seems most unlikely under the present paradigm. NB: I have adopted the spelling convention most commonly used by provincial authorities, though there are several other variations commonly encountered, including that used for the eponymous hydropower dam, which I have retained when referring to the project in this article i.e. “Xayaburi”. Quote taken from Stuart-Fox, M. (2008). Laos. In Sanha Kelly, Christopher Walker and Jake Dizard (Ed. ), Countries at the Crossroads 2007: A Survey of Democratic Governance (pp. 369-392) Lanham, MD, United States: Rowman & Littlefield Publishers . 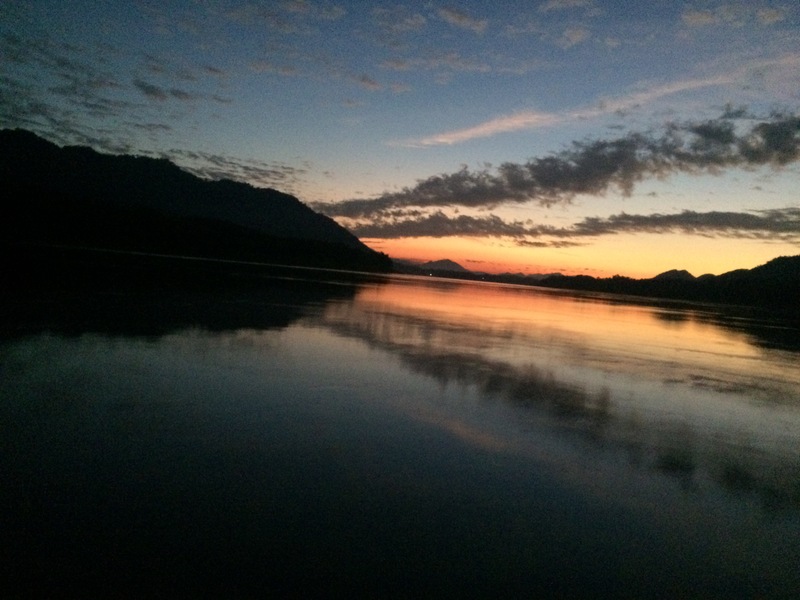 I’ve just returned from my first business trip to Southeast Asia with the Stimson Center’s “Team Mekong.” Below are a few lessons learned and brief observations from our visits in Bangkok, Kunming, Phnom Penh, Can Tho, Hanoi, and Saigon. Before I joined the Stimson team in June, I must confess that my outlook on the future of the Mekong region was not filled with optimism. I cannot begin to describe how refreshing it is to join a team that is developing pragmatic and innovative solutions to some of the region’s toughest issues. Moreover, it’s extremely satisfying to watch the deployment of an idea gain momentum among decision makers and begin to take on a life of its own. Simply put, ideas work. At public forums in Bangkok, Kunming and Hanoi and in meetings with regional government officials Stimson’s “Team Mekong” launched a more refined version of the concept of the need for a “New Narrative” on Mekong hydropower development first mooted by my colleagues, SEA Program Director Rich Cronin and Research Associate Courtney Weatherby this March. The New Narrative challenges the current narrative that the construction of 11 dams on the Mekong’s main stem is a prevailing ‘domino theory’ of inevitability based on an emerging body of evidence. Stimson’s most recent report and its main argument can be found here, but it was encouraging to hear the idea confirmed when well informed hydropower experts placed their bets on no more than five dams, all of them above Vientiane excepting Don Sahong. So if the Lao PDR government is banking on income generated from the construction of eleven main stem dams but only gets five in the end, shouldn’t it consider alternatives? 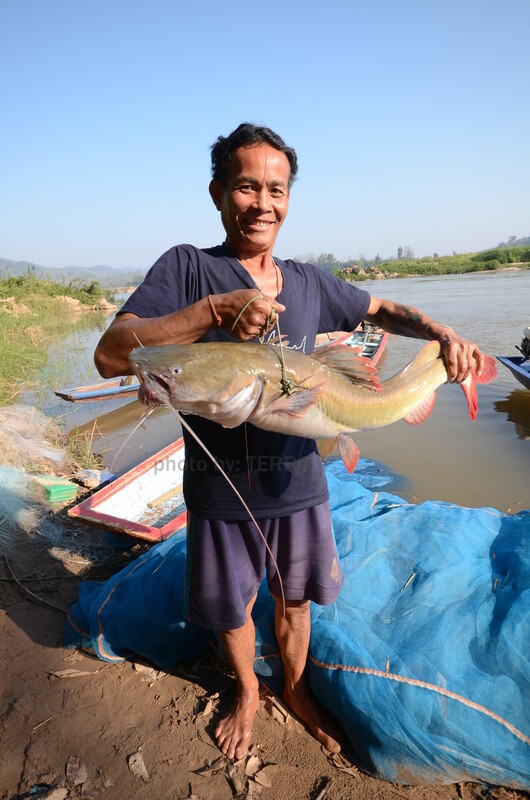 Considering the known and unknown costs of downstream effects on fisheries and livelihoods, it seems prudent for Laos to give the entire basin development plan another look. As a sustainable, one-country alternative to relieving the pressure of hydropower development on the Mekong’s main stem along with the unbearable downstream costs related to impacted fisheries and livelihoods, the Stimson team is continuing to develop the concept of a Laos national power grid designed for both the export of hydropower and national electrification as an alternative to Laos’ current economic development plan. The grid would be designed to optimized trade-offs related to the food- water-energy nexus on a basin wide scale. On this trip, we received much encouragement for the national power grid concept from regional government officials, but challenges still remain in convincing Laos as to why national electrification will provide more benefits than the current plan. As a suggestion, Vietnam, as a most concerned state in regard to downstream impacts can, share the story of the benefits of rural electrification with its neighbor through the history of its own development. Further, Vietnam’s electricity demand is increasing at 12% year-on-year prior to the TPP and could act as a major purchaser of power generated from a Laos’s national grid. No clear trends on the China Factor. I see no clear evidence that China’s state-owned enterprises are trending toward improving practices in Southeast Asia or that there is a concerted move from policy-motivated concessional projects to those based on financial viability. A few firms might be making improvements here or there, but even these firms are not willing to release the details and data supporting these so-called improvements. 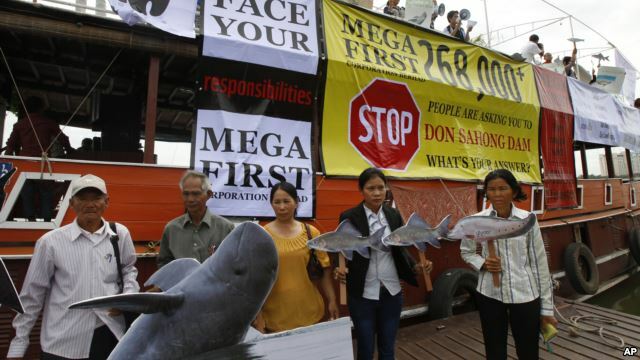 In the case of Hydrolancang’s Lower Sesan 2 project in Cambodia, the developer claims its fish passages will be successful in protecting vulnerable fish species, but will not release the research or plans for those fish passages for public observation or scrutiny. The message for Hydrolancang and other similar Chinese dam developers hasn’t changed: “We’ve conducted 100% of research relevant to these projects, and we’re confident that all problems will be solved. You only need to trust us.” But trust is built on results and transparent public relations. China simply runs a poor track record on these factors in the Mekong region. A surprising development is that China’s firms are playing the victim when discussing their Southeast Asian projects. Officers of these firms claim Beijing put them to task on these projects while the firms have to bear the risks and interact with prickly civil society groups, unwarranted Western criticism, and unstable host governments – the Myitsone dam serves as a case in point. Yet they fail to acknowledge the unbalanced stream of benefits granted by concessional contracts or the processes through which these benefits are gained. Further, these firms often claim to strictly follow the laws and regulations of host countries related to environmental and social impacts. Yet weak states like Laos, Myanmar, and Cambodia have promulgated little to nothing in terms of environmental or social safeguards, so these claims of being responsible legal investors are interpreted as trite and non-persuasive. Lastly, some anecdotal evidence points to Chinese money earmarked for overseas infrastructure development drying up in this latest round of China’s economic downturn. This discovery supports emerging conversations that Chinese firms are investing in more commercially viable or “bankable” projects. However, at the same time China’s One Belt One Road initiative appears to be creating a pool for free money given out on soft terms to any firm interested in constructing a project vaguely related to the objectives of the One Belt One Road whatever they may be. When weighing whether or not China’s upcoming investment on Mekong main-stem dams in the pipeline will be based on strategic motivations or sound financial decision making, this last point is particularly concerning. New institutional frameworks are forming to coordinate regional policy making. It’s becoming increasingly clear that the Mekong River Commission is NOT the institution to solve the big issues rising the Mekong region, though it still constitutes the only treaty-based intergovernmental organization in the region, and its technical review of the Xayaburi dam and its anticipated critique of the Don Sahong project have caused both developers to delay the projects and spend hundreds of millions on significant engineering changes and additional fisheries research. But in terms of actual governmental engagement, other institutions and bilateral arrangements are beginning to fill this gap. The US-led Lower Mekong Initiative (LMI), for instance, in its still nascent form aims to promote higher standards on water resource management and assessment of infrastructure development within the region. The LMI brings together the line ministries of the four MRC countries and Myanmar several times a year in working groups both on functional “pillars” and cross-cutting issues like the water-energy-food nexus, and the prime ministers of the LMI countries meet in the wings of the annual ASEAN-US Leaders Meeting, where transboundary issues and impacts from hydropower dams and other major infrastructure projects can be raised to the extent that the leaders are willing to engage on them. In response to both the US-led LMI and the waning power of the MRC, China is assembling a multi-lateral organization for joint river basin management called the Lancang-Mekong Dialogue Mechanism (LMDM). 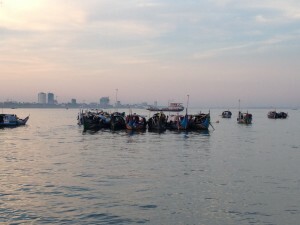 Mekong watchers should pay attention to the outcomes of the first vice-ministerial meeting of the LMDM on November 12. Further, Cambodia is negotiating a transboundary environmental impact assessment treaty with Laos and Cambodia, Laos, and Myanmar are authoring new sets of environmental and social safeguards related to infrastructure development. These frameworks are all coming together quite quickly. Yet even the US led LMI is said to be underfunded, uncoordinated, and unsure of its product. China’s forming of its own river basin organization is a welcomed foray into multi-lateral diplomacy, a realm often eschewed by the Chinese, but the intent and purpose of this organization is unclear. Serious cooperation on the use of the water and hydropower development will be highly limited so long as China refuses on national security grounds to provide downstream countries with the results of its hydrological and water quality studies, or the operation of its dams and other water releases from its monster reservoirs. And whether or not new safeguards in the Mekong’s weakest countries will have teeth or just pay green-washing lip-service is unknown. These developments all deserve our close attention. 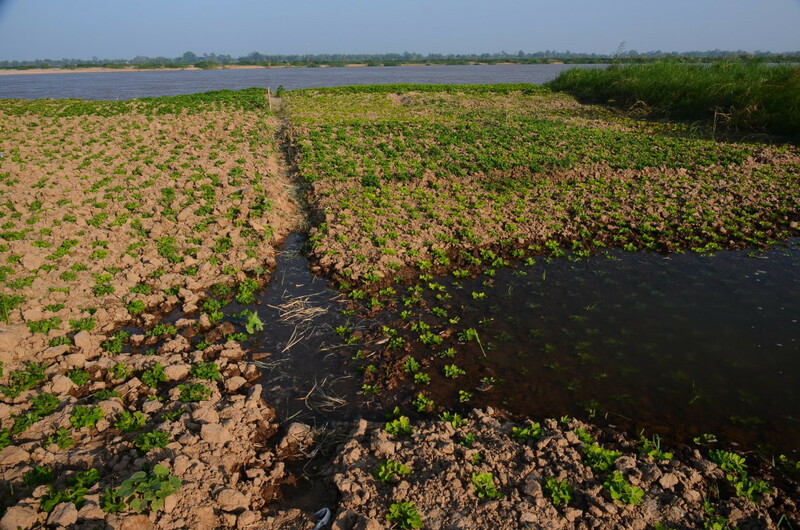 Some may say it is too early to conclude that the changing weather patterns in the Mekong region – be it a longer dry season, unexpected river water level fluctuation, or cold days in early summer – are a result of climate change. Even if we could summarize the large number of expert debates and long list of research papers, it’s unlikely that a clear answer to the simple question “Is climate change happening in the Mekong?” would emerge. But if instead we look on the ground, local communities along the Mekong River in Thailand will tell you that something is happening to the climate and that it’s not what it used to be. A study1 just published by local Thai communities who live along the Mekong River, titled “Ecology, Economics, Cultures of the Mekong Basin: From Kaeng Kood Koo to Pha Chan in a Changing Current” reports that weather patterns have been fluctuating oddly over the past several years. In addition, the water level in the Mekong River rises and ebbs unpredictably and unlike the past. 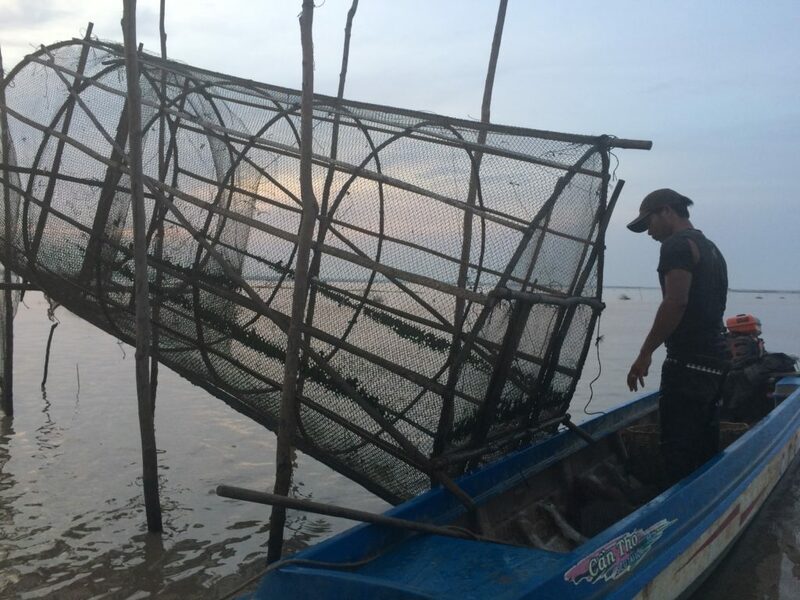 These changes have greatly affected these communities who still rely on nature to make their living as fishers and farmers (see also video here). As an example, we can look back to 2011 when two incidents occurred that appeared odd to many Thai river-side communities and are still recalled now: a highly abnormal cold spell in March 2011 when Thailand is usually warming up ready for the hot season, and then a prolonged period of heavy rainfall that lasted much of 9 months in 2011. In the Mekong Region, the hottest2 time of the year usually falls in April. It is the same month when Thailand, Cambodia, Myanmar, and Laos celebrate the water festival, which practically speaking is a great way to cool off as the temperature becomes sweltering hot. But back in 2011, a month before this large festive event, the average temperature in Thailand cut to almost half its normal rate to 18 degrees Celsius (°C)3 in Bangkok. In Ubon Ratchatani Province in northeastern Thailand next to the Mekong River, the temperature dropped to around 15 °C. Meanwhile, as the average temperature seemed to struggle to go beyond 25 °C for the whole month of March, the monsoon brought in at least 4 large storms swelling the Mekong River. To the communities living alongside the river, the most apparent effect of the chill and increased water volume was on the fishery. Local fisher folks hold an intimateknowledge5 of the Mekong fisheries that is passed on from generation to generation. They understand the seasonality of the Mekong River, including how the river’s ecosystems relate to the different types of fish migration, breeding habits, and behaviors. The fishers’ observed that the change in weather pattern and water level in March 2011caused many fish to become dull6 to find food and instead the fish started hiding behind rocks and in pools. As there were less fish swimming in the river, it affected the fish catch of fishers, such that many fishers gave up fishing during the period as it was uneconomical to spend money on diesel fuel when they knew they could find no fish. The heavy rainfall that started in March continued on for another nine months. In July 2011, Tropical Storm Nock-ten made land fall, bringing severe flooding to North, Northeastern and central Thailand. Large swathes of farmland, as well as Thailand’s capital city Bangkok, were left under water. 2011’s rainy season added so much water to the Mekong River and made the current so unusually turbulent that many riverbanks and riverbank gardens were flooded or even washed away. Many riverbank farmers lost their crops and therefore their income. Assistance and financial help from the local authorities made their way to some communities, but many admitted that they still had to pay for another round of seeds and sprouts by themselves7 hoping that the river water would not flood their land a second time. Fish and agriculture are the most basic foundation of the livelihoods and economy of the Thai communities along the Mekong River. Fish are a key source of protein. Riverbank gardens are the people’s homemade salad bar. They are both a steady source of income for many communities. 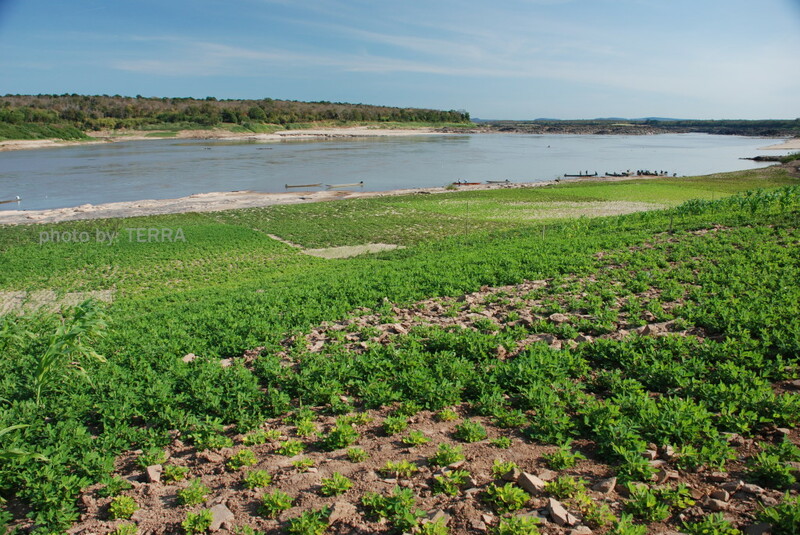 The changing weather and its impact on the Mekong River have impacted both. To alleviate the impacts of climate change, many governments who ratified the Kyoto Protocol – created under the United Nations Framework Convention on Climate Change (UNFCCC) treaty to reduce greenhouse gases emissions – came up with an idea to create mechanisms to meet their carbon emission reduction goals. One of the mechanisms is the Clean Development Mechanism (CDM)9 which provides a long list of projects like renewable energy, methane capture, and reforestation as options to seek carbon credits. Though it sounds like a good mechanism, CDM was never designed to pressure emitters to reduce emissions, but simply to help emitters to “trade-off” carbon emission. Hydropower development is included in the list of CDM projects. Water is supposed to be a great source of renewable energy to generate electricity as it was at first assumed that dams don’t emit carbon. Yet, recent research10 has revealed this idea to be profoundly wrong and in fact large hydropower dams can have significant carbon footprints. In 2002, Singapore researchers reminded scientists that greenhouse gas emissions from hydropower reservoirs are under-estimated11. 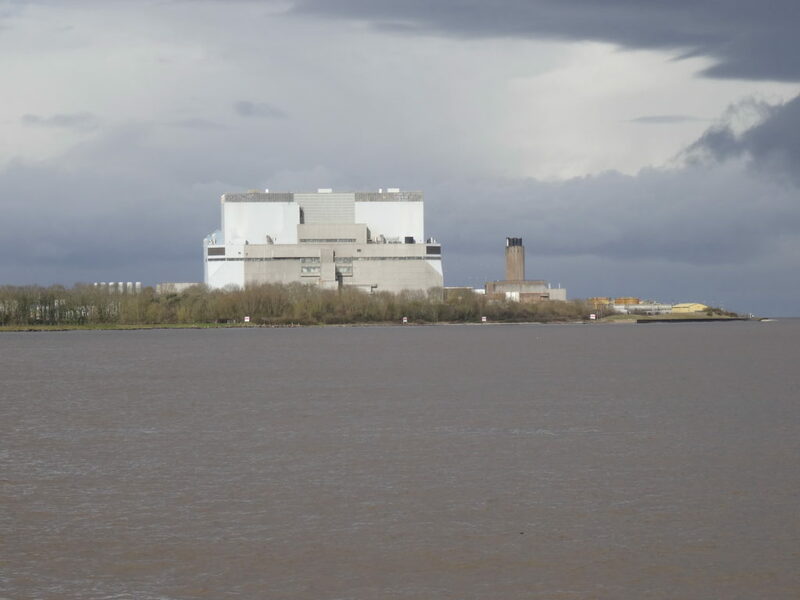 Another report12 published in Nature Climate Change points out that hydropower is not as low-carbon as assumed; instead dams produce emissions as they trap sediments and vegetation in the reservoir, which then decay and release methane and carbon dioxide. An academic study by Marco Aurelio dos Santos13 and his team in 2006 indicated that greenhouse gas emissions from hydropower per megawatt could in some cases be as high as fossil-fueled plants, especially in tropical areas. In a letter in Nature Geoscience in 2011, a group of researchers14 called for significant consideration to be given to hydropower dams’ carbon footprint. But it is not only a dam’s “carbon footprint” that should be of concern. 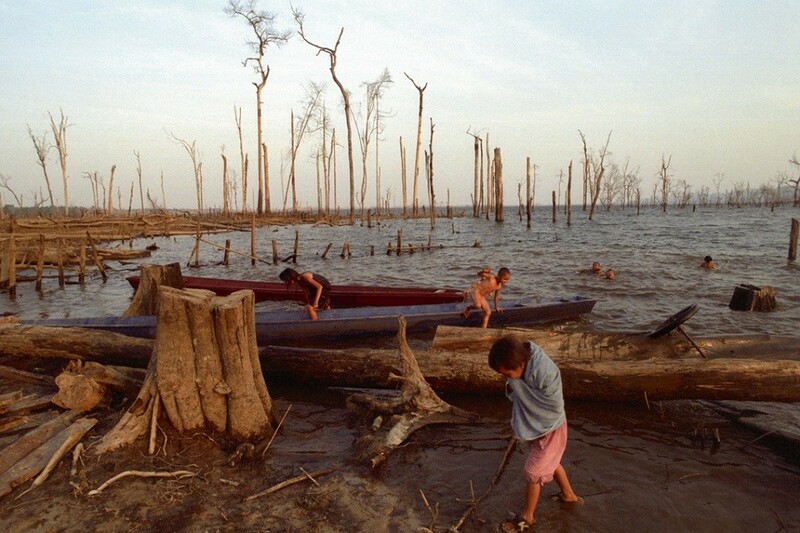 The process of dam construction can wipe out carbon sinks by triggering deforestation within and beyond reservoir areas, as has happened at the Lower Sesan 2 dam15 site in northeast Cambodia. 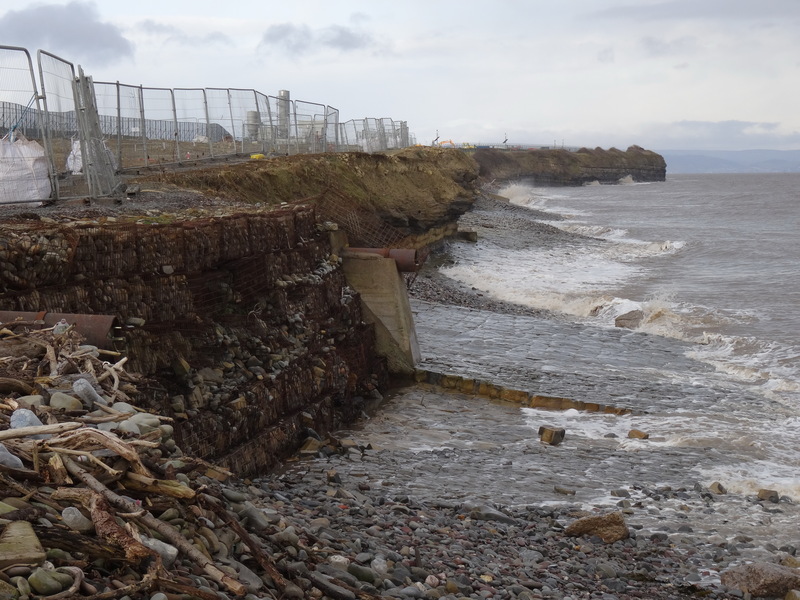 Dams also block sediments and nutrients from making their way downstream to replenish soils, as well as to rebuild the delta areas and avoid excessive river bank erosion. With less nutrients feeding the soil, farmers may opt for chemical fertilizers to replace the missing nutrients, but in the long term this destroys the soil health and creates a cycle of agrochemical dependency – as well as potentially farmer debt. Treaties like the Kyoto Protocol should be designed to pressure high emitters of greenhouse gases to reduce their greenhouse gas contribution that lead to detrimental impacts on the earth and on communities, many of whom are being left in an increasingly vulnerable situation. But at the moment it appears designed to find a means to help these emitters’ behavior appear acceptable before the global community by skewing the climate change debate towards carbon credits instead of true reductions. The Mekong River basin is home to over 65 million people. The ecological diversity16within the basin sustains the region’s food security17. The Mekong River is second to none when it comes to the amount and diversity18 of fish species which provide both food and income sources in Southeast Asia. But climate change is affecting many people now and it is not stopping. If high emitters of greenhouse gases are serious about addressing climate change, it is time that they started learning about climate justice. They need to learn about the myriad impacts of dams on people19 and the environment, which are already well known to millions of dam affected people globally. 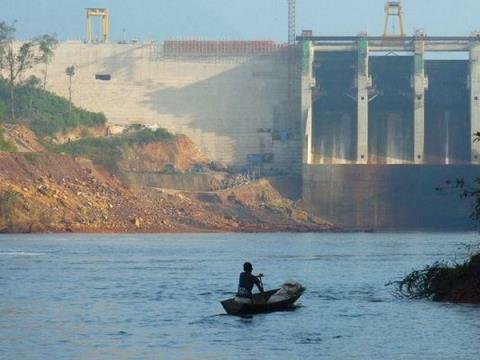 The lower Mekong River is already feeling the impact of a series of dams built upstream in China. Thai riparian communities faced another flooding20 in the dry season that spanned between the end of 2013 and early 2014 when the Mekong River unprecedentedly and unexpectedly rose between one and two meters, which lasted for approximately a week before receding. Affected riverside communities lost21 their boats, crops, fish stocks and income as a result of the rapid rise in river level. There was no warning and no government officials reacted to the situation promptly. Locals were left to cope with the situation by their own means. Though no government came forward to confirm if the exceptional water rise and quick ebb were caused by China’s dams, local communities22 stood firm to point to upstream dams for the loss and damages. With the waning of fossil fuels like coal that are also gaining a bad reputation for releasing large amounts of carbon and creating pollution, some developers and governments are proposing a turn towards hydropower projects and apparently with the support of the CDM. Yet such an approach will never tackle the problem at its root as the current development model champions industrialization and urbanization and still prioritizes high GDP pursued through the use of dirty and unsustainable electricity sources. Large dams are false solutions23 to climate change as they fragment free-flowing rivers and devastate24 local natural resources and communities. Instead a more radical rethinking of development is required, including how we relate to our rivers and the wider ecosystems that could sustain us for the present and future generations. This article was originally printed here on the Mekong Commons site. It is reprinted with permission of the author. Cizhong village in the background along the west bank of the Upper Mekong in Yunnan. 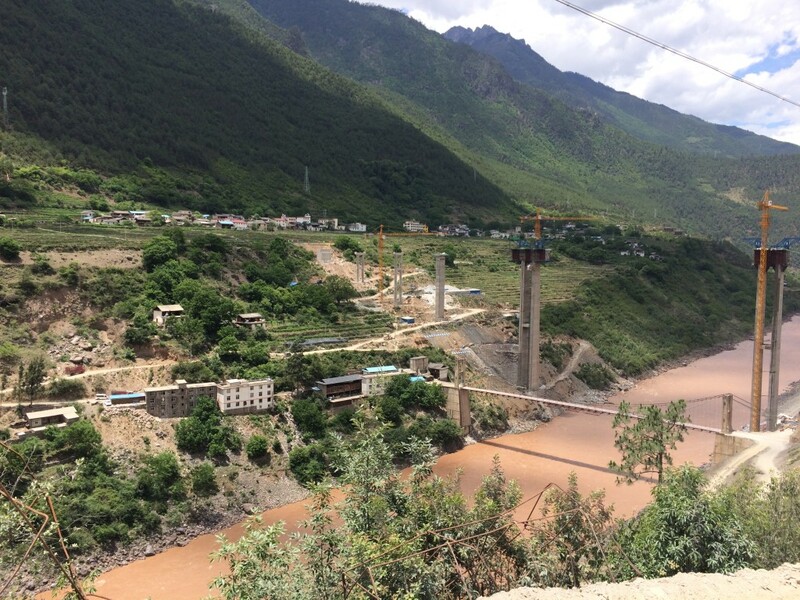 Cizhong, a remote Tibetan village in China’s Yunnan province, has no recourse against the onslaught of impacts from the construction of the Wunonglong dam on the Upper Mekong River. This year has seen no pause in activity from civil society organizations and community level stakeholders in the Lower Mekong targeting criticism at the Xayaburi and Don Sahong dams in Laos, both high-profile projects on the main stem of the Mekong River. Moreover, evidence shows how efforts of these groups are actually delaying the construction of these projects and raising the costs associated with their completion. Dual influences of economic uncertainty in China and Southeast Asia and the unavoidable effects of climate change in addition to grassroots efforts are challenging the popular notion of a “domino effect” of inevitable hydropower development on the Mekong. Yet while the domino effect on the Lower Mekong may be under question, it has prevailed in China’s stretch of the Mekong , silencing activism and subjecting affected communities and local ecologies to the vagaries of unchecked development. The 990MW Wunonglong dam, scheduled for completion in 2019, and the impacts of its reservoir on thousands of households serves as a case in point. Construction began at the Wunonglong dam site in 2010. I first heard of the impacts of the Wunonglong dam on the day I walked into Cizhong, a village 40km upstream of the construction site. Cizhong sits on a small plateau 100 meters above the Mekong at the southern end of Deqin county in one of the most remote areas of Yunnan province. I crossed into Cizhong on a bridge that will be inundated by the dam’s reservoir in a few years. Looming fifty meters above, a half constructed bridge built by the dam developer Huaneng Hydrolancang will upon completion bisect a patch of carefully maintained rice paddies located between the river and the village. Cizhong is majority Tibetan, and for years both Chinese and foreign tourists have flocked to the village for two reasons. First, eighty percent of the village’s 115 households are members of the local Catholic church established in the late 19th century by French missionaries. 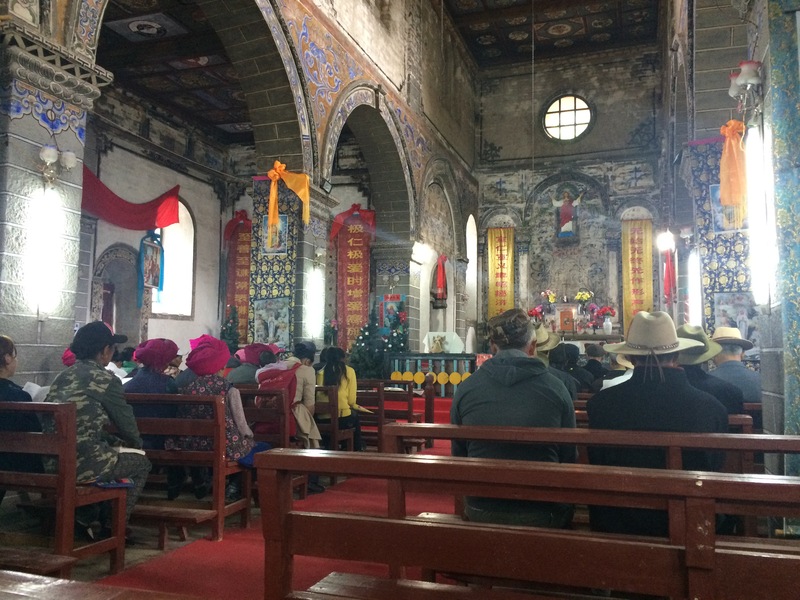 Several times a week, villagers file into the stone Cizhong cathedral, a nationally protected structure, to take part in mass led by Li Fei, a priest from Inner Mongolia. The prayers sung in unison before mass are to the tune of commonly known Tibetan Buddhist chants. European tourists typically line the back pews to catch a glimpse of this uncommon marriage of cultures. Cizhong’s Catholic Church, a nationally protected structure built in the early 20th century. 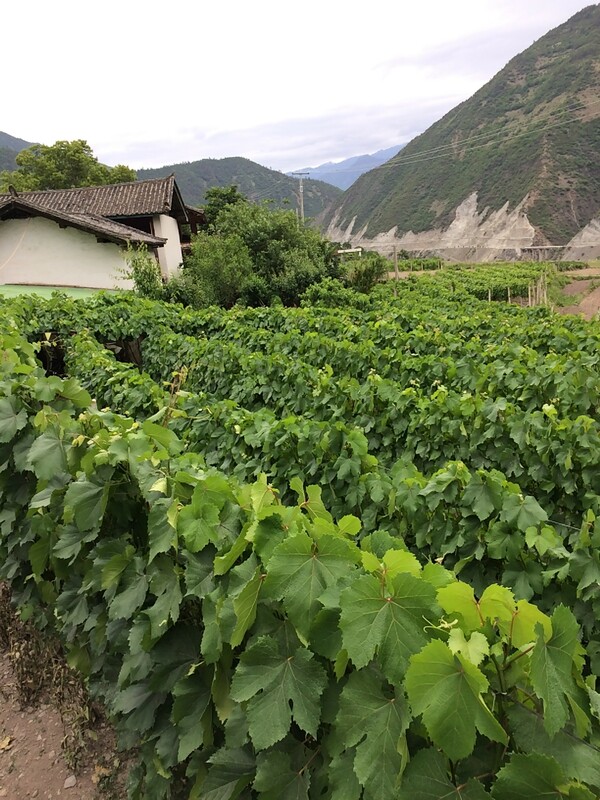 Second, Cizhong is home to a growing cottage wine industry, also introduced by the French missionaries prior to the establishment of the People’s Republic of China in 1949. The wine boom started in the late 1990s with the resurrection of a Rose Honey grape variety found growing on the cathedral grounds and no longer cultivated in France. About ten years ago, the local Deqin county government introduced agricultural assistance programs that brought in other kinds of grape varieties as well as technical aid to supply a larger wine making industry in the Shangri-la region. Currently, most villagers sell their grapes to middlemen each harvest, but some choose to make their own wine to retail at Cizhong’s local wineries and guesthouses. However, the things that make Cizhong special may not be around for long. The Wunonglong dam threatens not just Cizhong’s local economy that has delivered modest levels of prosperity to the village over the past thirty years, but also the religious harmony between local Tibetan Catholics and Buddhists. In two years Yanmen, an upstream community with more than two hundred households, will be entirely relocated to Cizhong. Yanmen sits low along the banks of the Mekong and will be completely flooded by Wunonglong’s reservoir and the only place to transplant Yanmen’s residents is on top of Cizhong’s rice paddies. Upon hearing the news of Yanmen’s takeover of their rice paddies, Cizhong’s villagers reacted emotionally as the paddies create a critical community space for social interaction. “The village elders cried when they heard the rice paddies would be destroyed. The paddies were carved with their bare hands in the 1960’s and now the government wants to take them away?” says a local villager. Another villager claimed one rice harvest can feed the village for two years. Without a rice crop, villagers will have to generate income to overcome a critical food security issue. Part of Yanmen village located below the inundation zone of Wunonglong’s reservoir. The day I walked through Cizhong was the last day for the giant walnut trees that lined Cizhong’s only road. To widen the road making way for Yanmen’s relocation, the remains of the trees, which each can produce up to 10000 RMB (1500 USD) of walnuts per year for sale at local markets, were stacked into wrecked piles of limbs and logs. Villagers received 300-10000 RMB in compensation per tree, at most enough to cover one year’s harvest. 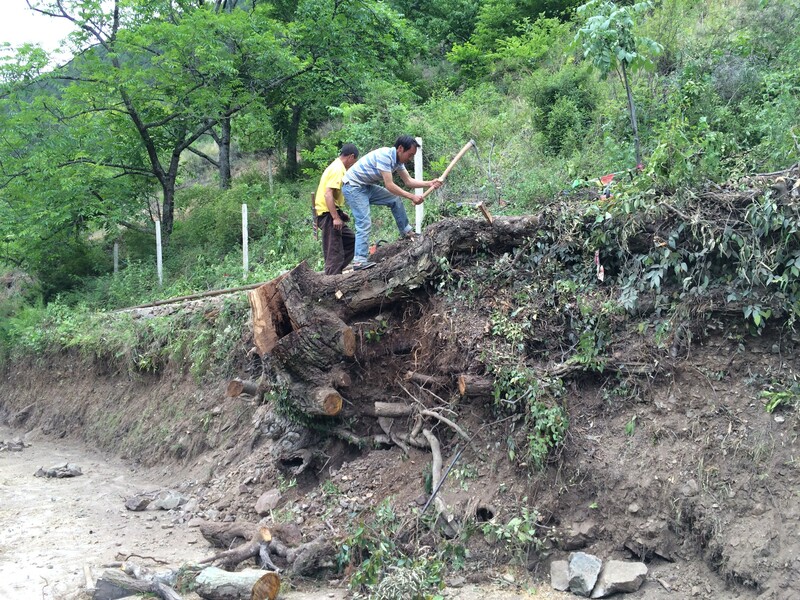 Road widening brings down scores of Cizhong’s walnut trees. Land compensation is an issue of major contention in Cizhong. More than half of Cizhong’s agriculturally productive land is being claimed for redistribution to the incoming residents of Yanmen and originally villagers were offered 30,000 RMB per mu of land (1 acre equals 6 mu) lost to Yanmen’s relocation. Currently the local government is offering 100,000 RMB per mu, but Cizhong’s villagers continue to hold out. “The villagers who moved to the city long ago and no longer live here agreed to 100,000 RMB per mu. It’s easy for them because they have other jobs and other income, but to us, the taking of our land is taking away our only source of income,” says a villager surnamed Wang. Some villagers will lose all of their productive land. Stall tactics make sense since the local government will take 30% of the compensation and only dole out the agreed upon compensation in monthly installments over 15 years. At the current offer, with only 3000 RMB per mu in compensation per month, even the most business savvy individuals will not be able to survive. “We will wait,” says Wang with unsteady confidence. 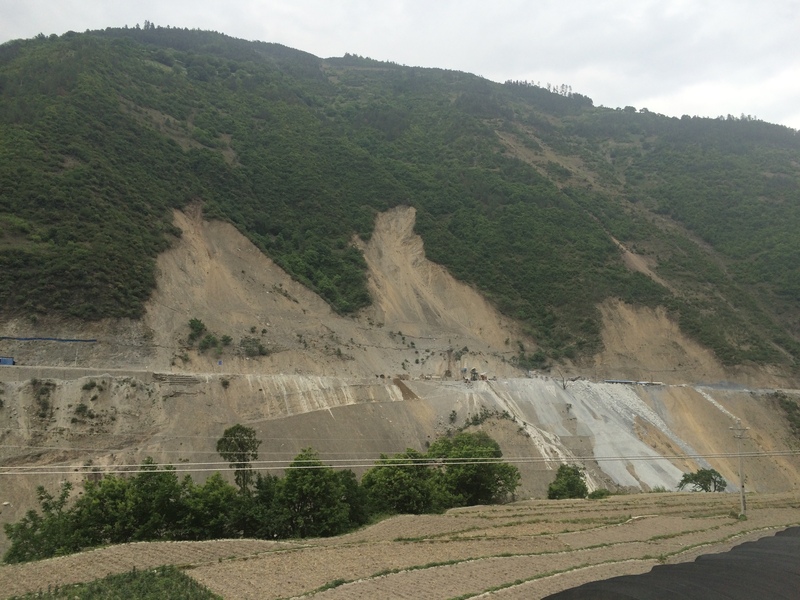 Highway construction opposite Cizhong has led to landslides and more than 50 deaths. “Ten years ago we had everything we needed and now life is only getting worse,” continues Wang. Electricity generated by the Wunonglong dam will not be distributed to Cizhong. 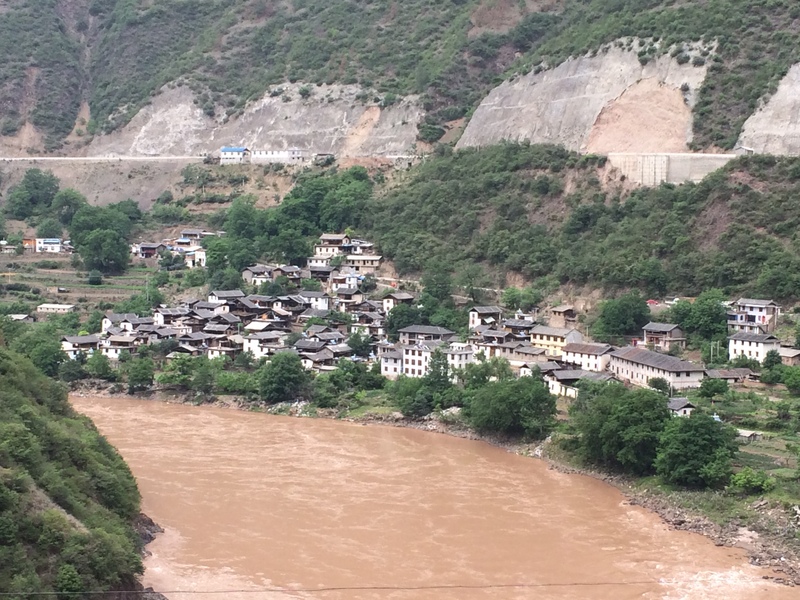 In a prelude to Cizhong’s current worries, a small-scale hydropower project adjacent to the village was constructed a few years ago. It sends no power to the village, and to make matters worse, the small scale project cut off access to a local stream and to pasture lands beyond it. “We let our cows out to pasture in the hills but they came back with bloodied legs because they couldn’t cross the land affected by the small hydropower project. Now there’s nowhere for our cows to graze.” When the small scale project was commissioned, developers promised locals 500 units of free electricity – those promises were never fulfilled. Not a single Cizhong villager was employed in the construction of the small scale power station, and the price of electricity has been on a steady rise in the village. When Chinese dam developers conduct feasibility studies and first meet with locals affected by projects, they fervently sing praises of hydropower, boasting of how the dam will deliver local communities out of poverty and provide new income sources. Reality tells a different story as infrastructure development projects in southwest China nearly always fail to provide net benefits to those who live closest to them. In the case of China’s hydropower development on the Mekong, most power is sent to cities on or near China’s eastern coast. And as China doubles down on its commitments to reducing carbon output, the investment in hydropower projects, particularly in the under-developed southwest is amplified. 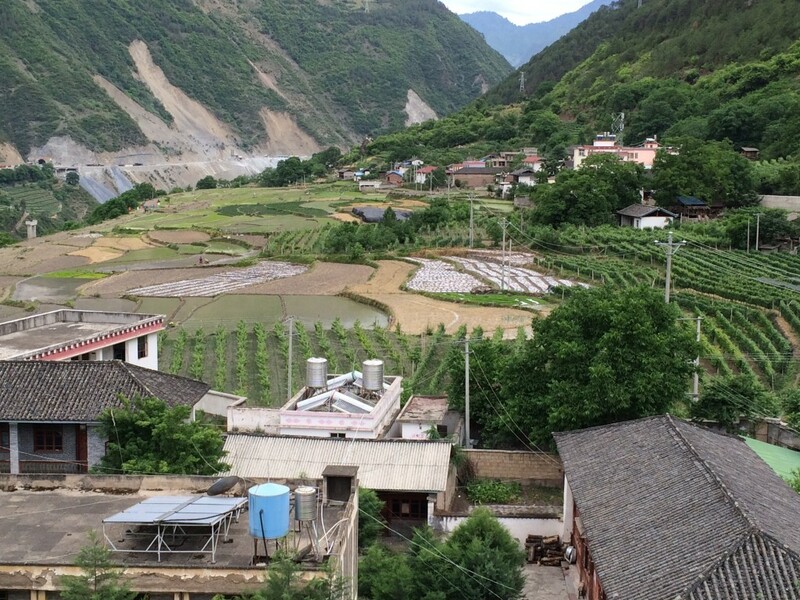 In Cizhong as in many other parts of upland southwest China, the Chinese government’s “core interests” of energy dependence and carbon reduction combine forces to turn land held by indigenous ethnic peoples into a marketable commodity. Individual livelihoods, the social cohesion provided by generational practices and reliance on the land, and local traditions are consistently marginalized. From a legal perspective, the Chinese state owns the land and everything above and below it, but villagers who are responsible for the productive economic activities that happen on that land are legally guaranteed compensation at fair market value for land grabbed by developers or involved in relocation efforts. Yet on China’s periphery, even the commoditization process fails. The marginalized nature of Cizhong and distance from the state’s judicial apparatus prevents fair compensation. Further, the law lacks consideration for values attached to various ways upland ethnic peoples use the land. The Chinese state apparatus sees compensation to and relocation of rural peoples affected by development through standards applied to lowland agriculture, where patches of land are treated as commodities producing an accountable thus taxable yield on an annual basis. In upland China as in parts of Southeast Asia, land use patterns are less standardized and less predictable. Villagers there use mountain slopes as common pasture land for grazing animals, the forests as areas for collecting consumable and marketable products such as the matsutake mushroom and caterpillar fungus, or as in Cizhong’s case, walnuts produced by trees lining its roads and fields. The value of community-building functions created by these shared land use practices often is greater than the cumulative economic value derived from the land. Sunday mass in Cizhong’s Catholic church. “We are worried about village harmony,” Wang continues, discussing how the daily routines of Cizhong’s Catholics are still deeply entwined with Tibetan Buddhist culture. “It’s common to see Buddhist monks present to give blessings at Catholic weddings and Christmas and Easter. 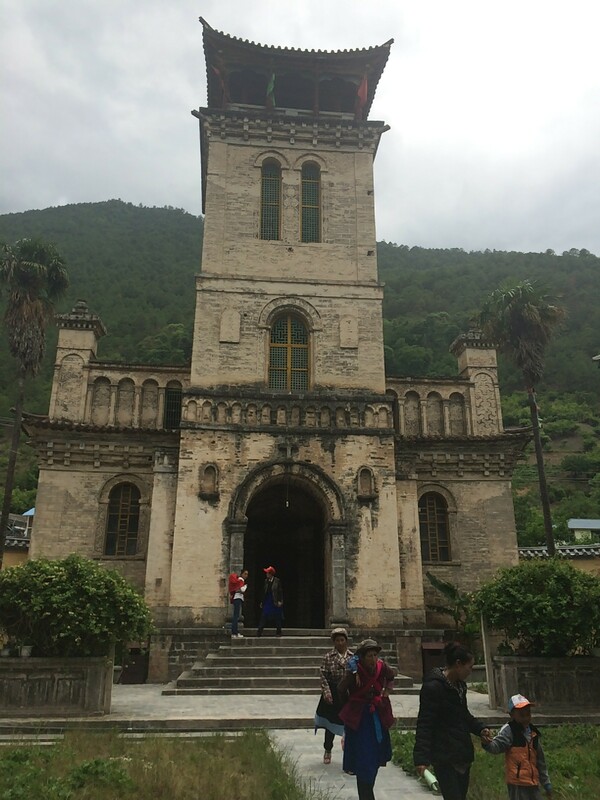 We’ve achieved this harmony through decades of exchange with our Buddhist neighbors.” However, all of Yanmen’s residents are believers in Tibetan Buddhism and unfamiliar with Catholic culture. Wang is worried that despite common ethnic heritage, the influx of Buddhists will upset community harmony and social interaction. He labels Yanmen’s residents as overly superstitious and tells stories of how they are caught up in a spiteful sectoral feud between a local protector deity and the Dalai Lama that divides families in this part of the Tibetan world. As if matters could not get any worse, when Yanmen village moves in, Cizhong will lose its name. Yanmen is one rung higher in China’s administrative ranking of localities, providing further risk to the interdependent cottage tourism and wine industries that have bet their futures on Cizhong’s name and unique history. The name change coupled with the inundation of Tibetan Buddhist villagers from Yanmen will dilute the uniqueness of Cizhong’s past and have a particular impact on Cizhong’s tourism industry. With less land available for agricultural production per household, villager’s annual grape yields will decrease having an impact on income. Villagers might choose to switch to higher value crops, but options for diversification are few in the canyonlands of the Upper Mekong. Alternatively villagers will be pressured to intensify the use of fertilizers to increase grape yields, pushing limits on sustainability and subjecting the local ecology to the effects of dangerous chemicals. With no avenue for legal recourse and no one coming to aid the villagers, Cizhong’s days are numbered. The demoralizing effects of the Wunonglong dam are obvious and with nowhere to turn to for assistance or relief, Cizhong’s villagers can only passively wait to absorb the next shockwave. Censorship and the tightening of restrictions on NGOs under Xi Jinping’s government discourages civil society groups from intervening in cases like Cizhong’s making this unfortunate village just one of many caught up in the inevitable leviathan of energy infrastructure development in southwest China.